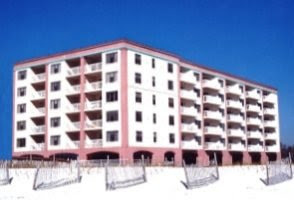 Misc: Orange Beach gulf-front condo for sale at Escapes to the Shores. Large gulf front corner condo with 2,320+/- square feet.! This resort home has all modern features such as granite, stainless steel appliances, separate laundry room with counter top space and sink. The master bathroom has dual sinks, separate whirlpool tub, and shower. An additional room offers dining area plus more sleeping space with a murphy bed. The community amenities include the indoor, outdoor pool, sauna, hot tub, covered parking, workout facilities, grilling area, and more. Condo is an great real estate investment.